What’s the Big Deal About Facial Muscle Relaxers? Facial muscle relaxers like XEOMIN®, BOTOX®, and Dysport® are some of the most-preferred aesthetic treatments available today. 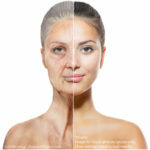 This article will discuss the differences between these three products and how they both reduce and prevent wrinkles. That’s right! XEOMIN contains nothing but the botulinum toxin A, so there are no preservatives, additives, or chemicals in the product. This injectable is considered a “naked” substance, according to the IAPAM. This means that it contains only the toxin; nothing more. Unlike Dysport and BOTOX, XEOMIN does not need refrigeration to stay fresh. This injectable is especially appealing to individuals with chemical or preservative sensitivities or allergies. By avoiding the additives completely, many individuals find that they can better tolerate XEOMIN. Some patients can become resistant to BOTOX or Dysport due to the way the botulinum toxin is processed in these two brands. However, with XEOMIN this is not generally an issue. XEOMIN is processed in such a way that the body does not usually form antibodies against it. This lack of antibody formation allows the product to work long-term for most patients. Click here to learn more about the differences between BOTOX and Xeomin. The price of XEOMIN is about the same as BOTOX, with Dysport costing about 20% less. Though XEOMIN does take a bit longer to “set in”, the long term benefits of zero additives and very low risk of tolerance build-up are quite attractive. Facial muscles move when we express emotions such as laughing, crying, or frowning. The skin directly above these muscles can become wrinkled over time as the muscles’ repetitive motions engrain patterns in the skin. Muscle relaxers paralyze the facial muscles responsible for wrinkles in key areas, helping to reduce their appearance. For individuals who continue to repeat treatment regularly, new wrinkles can be prevented. Because the facial muscles cannot move, new wrinkles are not able to form. My name is James Christian Sardelli, RPA-C, and I have been providing expert technique with injectables for over 10 years. My skills include injection of facial muscle relaxers, dermal and wrinkle fillers, Vampire Facelift, liquid facelift, Dermapen, MesoGlow, and more. My clients are thrilled with their results because I have the experience, gentle touch, and skill it takes to provide truly stellar aesthetic services. Visit James Christian Cosmetics in Manhattan, Commack, Rockville Centre, West Sayville, Babylon Village, Islip, Westhampton Beach, or Farmingdale. Contact me by text 24/7 at (917) 860-3113 or toll free by phone at 1-844-iBOTOX-Now. I look forward to making you my next 5-star client! *BOTOX® Cosmetic is a registered trademark of Allergan, Inc.; XEOMIN® is a registered trademark of Merz Pharma GmbH & Co. KGaA. ; Dysport® is a registered trademark of Galderma Laboratories, L.P.